Well some new footage has surfaced early Saturday morning, and it doesn’t look good for Shad Moss. 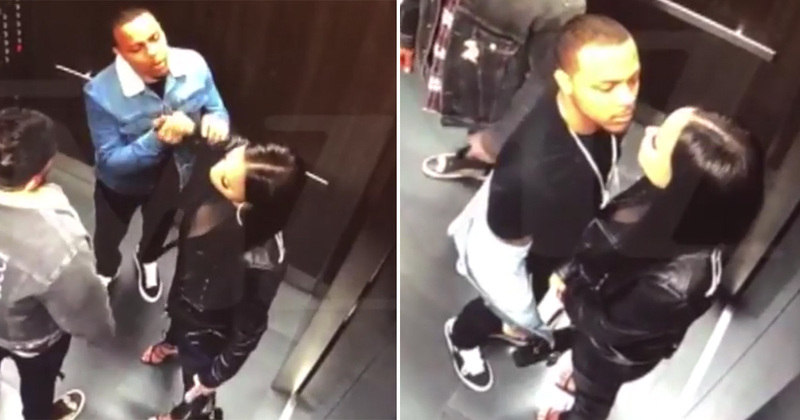 The folks over at TMZ obtained footage of Bow Wow & Leslie in the elevator of their apartment complex before the fight went down, and its clear Bow Wow was enraged. He could be seen snatching something from her, cornering her and getting up in her face as if he wanting to get physical.